Dots is the online version of an old game that we used to play on paper (usually during school). Only now, you can play it without bothering the poor classmate stuck sitting next to you. 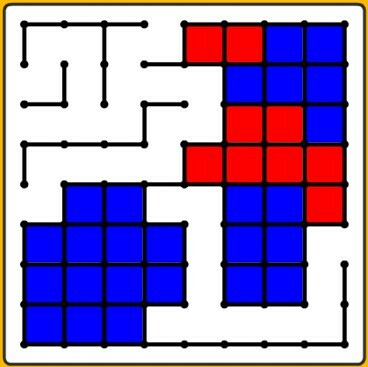 In this game players take turns drawing lines and closing off boxes. Once you close off a box then you score a point (so, obviously, the idea is to close off as many boxes as you can). This game is simple although it's not as easy as it may seem. 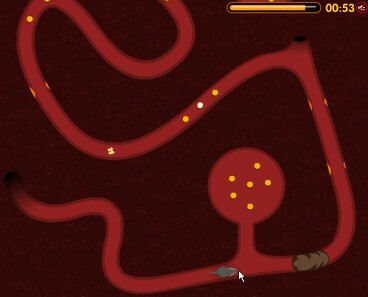 You need to lead the gerbil with your mouse through the, um, tubes to reach its goal. This game is based on a South Park episode. Please share the codes for the levels that you get through in the comments.